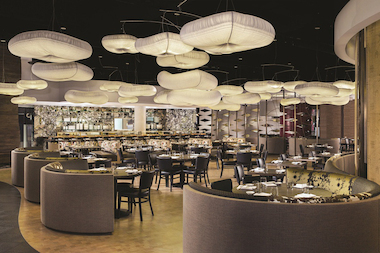 The Nobu Restaurant in Las Vegas. CHICAGO — A Japanese-themed boutique hotel and restaurant co-owned by actor Robert De Niro is slated to open in the West Loop in early 2016. Nobu Hotel and Restaurant Chicago will feature 155 rooms, a rooftop lounge and its own version of the world-renowned Japanese restaurant chain, the company announced recently. The development will be on Peoria and Randolph streets in a part of the neighborhood well-known for its restaurants. In addition to the "Raging Bull" star, the other co-owners are chef Nobu Matsuhisa and film producer Meir Teper.